Clean and dry the affected area before applying. Wash your hands if necessary. Bend the plaster and detach the centre part of the film. Apply the adhesive part directly on the affected area. Slide the other film forwards. - Only use one patch at a time. 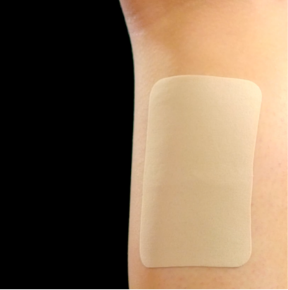 - A single patch could be applied for up to 8 to 12 hours. - If pain occurs again 8 to 12 hours after applying the first patch, a second patch could be applied. Remove the first patch before applying a new patch. - Salonpas® Pain Relief Patch is suitable for adults and should not be used by children and adolescents under 18 years of age.